If you've ever lived with a roommate who seems to enjoy experimenting with mold in your communal fridge, you can probably appreciate this invention from Austrian design student Stefan Buchberger. 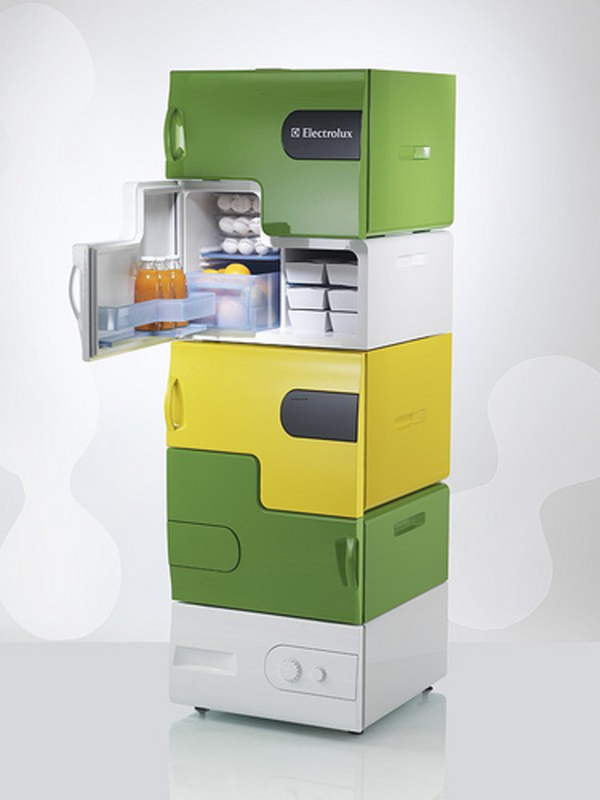 The Flatshare Fridge, one of nine finalists in the Electrolux Design Lab 2008 competition, consists of up to four stackable modules on top of a base station. Each module can be further customized with add-ons like bottle openers or a whiteboard. Buchberger said he decided to create Flatshare from personal experience, after discovering that "there is nothing more disgusting than a dirty fridge in a shared flat.
" I had one of those experiences. One former roommate had made a creamy fruit salad in the fall, and plum forgotten about it when she moved out in the winter. I could've sworn the monstrosity that greeted me three months later asked me if I was the Gatekeeper.